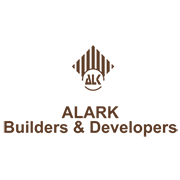 The rising star among the fast developing and advanced sector of Bhopal, Alark Builders is the eminent real estate developer that has proven to be trustworthy, promising and reliable. Combining the best of plan, aesthetics, expertise and architecture, we have successfully accomplished several commercial & residential projects in the recent past. With this growth and effort, we are sure to make an outstanding benchmark in the real estate segment which will be followed by the other upcoming developers.